George Lau was born in Port of Spain, Trinidad on 7 May 1921. 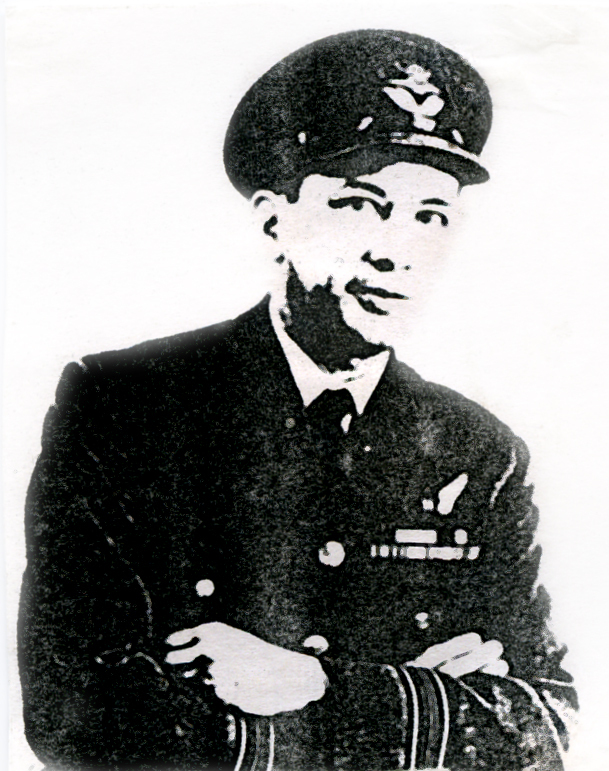 He was educated at Naparima and St Mary’s Colleges before being selected in 1941 by the Trinidad Air Training Scheme for Pilot training. He went on to volunteer for flying duties in the Royal Air Force in 1942, and after Elementary Flying Training in England and Canada, he graduated as an Air Navigator at the RCAF Station Edmonton, Alberta. He completed Operational Training on Hampden Torpedo bombers as well as Dakota DC 3 aircraft in early 1944, at No 32 OUT, Vancouver Island, British Columbia. After a short spell at No. 45 North Atlantic Ferry Group at RCAF Dorval, Montreal, he flew out to the far east and joined No. 117 Squadron in mid 1944 on the India/Burma border flying DC 3 aircraft in the air supply dropping role against the Japanese. After completing an Operational Tour of 165 missions he was then posted in 1945 to No. 353 Squadron engaged in short range transport activities in the India/Burma/China area. In 1946, he returned to England and joined No. 511 Squadron at RAF Lyneham flying York and Hastings aircraft on long range transport operations over the Middle East, East Africa and Far East. Whilst serving with No. 511 Squadron, he was specially selected and granted a Permanent Commission as a Flight Lieutenant in the Royal Air Force Flying Branch. Also during his four(4) years tour with 511 Sqn, he flew operational sorties in the evacuation of prisoners of war from Singapore, the movement of families to and fro India and Pakistan during the Indian Independence hostilities support ops during the emergencies in Malaya and in Kenya, and the Berlin Airlift. On the airlift, Sqn Ldr Lau flew over 200 missions between RAF Wunstorf, Hannover and RAF Gatow, Berlin, in the period July 48 to June 49. Between 1951 and 1954, he was a Flight Commander and Instructor at No. 1 and No. 5 Air Navigation Schools. He then joined the Central Flying School, RAF Little Rissington as Adjutant and Staff Navigator. This was followed in 1957 by courses on Night Fighters and as a Fighter Controller. His next post was in Cyprus on the Air Defence Staff and in 1958, he became Officer Commanding No. 280 Signals Unit, a Master Ground Controlled Interception Unit at RAF Akrotiri responsible for the island air defence during the Emergency. At the end of this appointment he was awarded the OBE. In 1960, he commanded a Training Squadron at No. 2 Technical Training School. By 1962 he returned to flying duties as Seniors Operations Officer and Instructor at No. 230 Vulcan Operational Conversion Unit (OCU), after completing a series of courses on Canberra and Vulcan Bomber aircraft. He next moved to Singapore when in 1965 he joined the Staff of the Air Officer Commanding No. 224 Group, RAF Seletar during the Indonesian/Malaysian Confrontation. On completion of this tour in 1967, he was posted back to England onto the Headquarters Staff of Bomber Command (later renamed Strike Command). After a couple years at RAF Strike Command, Sqn Ldr Lau, at his own request, prematurely voluntarily retired from the Royal Air Force in order to pursue a second career in Industry. He joined Tate & Lyle PLC in 1969 and retired from that company in 1992, having served in Senior management appointments in the UK, West Indies and east Africa. He now resides in England. He is married to Elaine Chan Sing, also a Trinidadian. They have 2 daughters – Susanne and Diane.